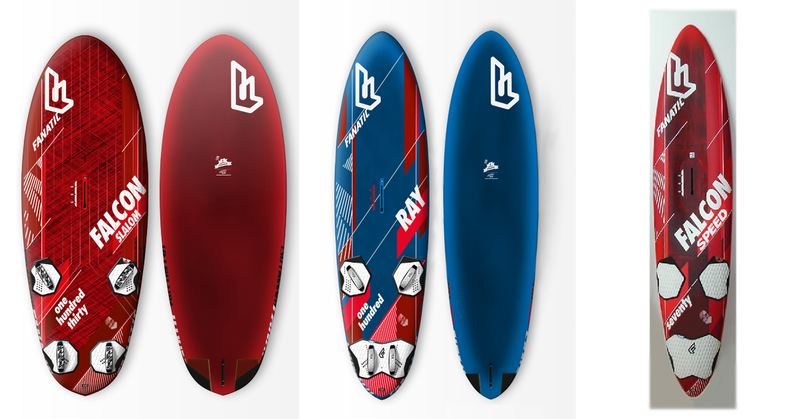 Home Uncategories My ideal boardquiver for 2014! 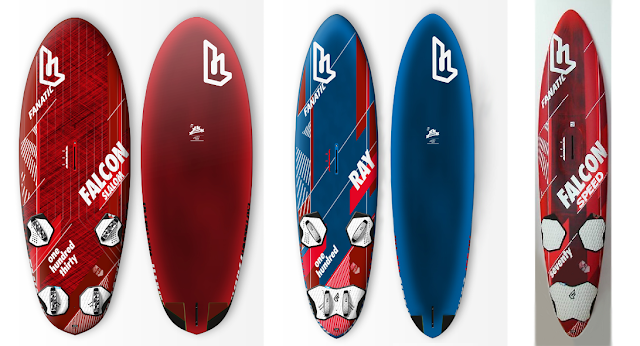 Because I can't windsurfing this period (due to my rheumatism recovery) I've already sold my 2013 boards and had time enough to look into my ideal Fanatic 2014 boardquiver! The 2013 Falcon 132 already was one of my favorite boards. Planing from 7 knots onwards with a very loose yet comfortable/fast ride on all courses, top efficiency! The 2014 Falcon 130 will have an adjusted so called "wing tail" with double cutouts and railcutouts for topspeed, acceleration and gybing ability. This board comes in full carbon construction for maximum stiffness and lightest weight, very important in this boardsize. The 2013 Falcon 102 was one of the most versatile boards in the range. I used this board in 15 knots with a 7.8 up to 30 knots with 6.3, on flat and choppy water. It can be used for slalom ánd speed. For 2014 I choose the Ray aka "Falcon Wood". The Ray 100 has exact the same shape as the 2014 Falcon 100 but comes in a different construction, Biax Glass Sandwich with PVC/Wood layer on deck and bottom. I expect a bit more comfort/control than the Falcon Carbon construction in this size. Also the pricedifference is big (20%) and on top of that this board includes the new Choco Fireblade 4 36 G10 fin. 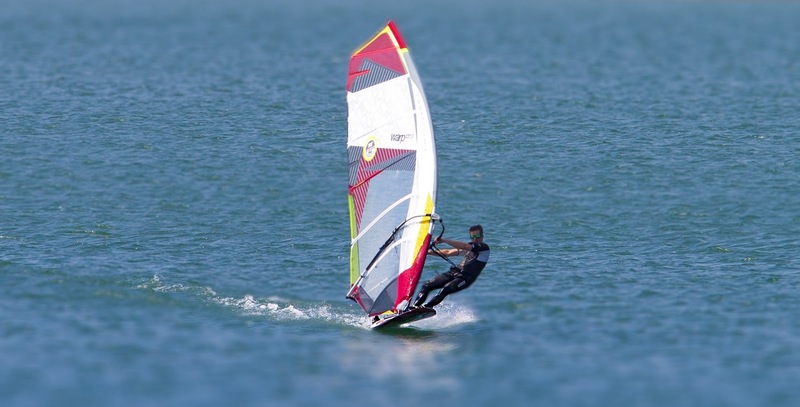 Ideal for me would be a board in between the current Falcon Speed 51 and Falcon Slalom 79, approx 53 cm wide. I would use this board mostly on Strand Horst but also other speedspots. The Falcon/Ray boards are expected to be delivered end of october, mid november. I want to thank Fanatic/Herman for the support! Photocredits Erwin Bovendeur. "We already made some good R&D work for the Lüderiz guys....so if they are getting some smoking records on them...we are planing to give the speed range a re design for 2015!"